It's almost inevitable, during everyone's lifetime, that some personal events would change the course of our existence, our personality and our attitude towards life in general forever. 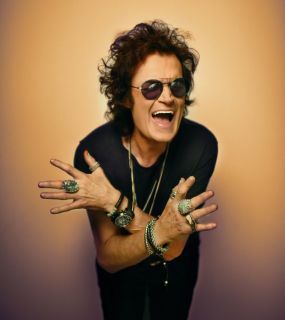 In these respects, the last 24 months of one of the most iconic Rockstars worldwide, Glenn Hughes, have been indeed full on, both to the artist's personal life and his musical activity too. Between recovering from health issues such as a double knee's replacement and the loss of both his parents in a short period of time, Hughes, universally known as The Voice of rock'n'roll, has found the way to battle these hard times through music, the art form that comes more natural to the singer/songwriter and bass player. Between the space of 12 months, from the end of 2016 to the end of 2017, Hughes has released two albums, one as a solo artist called Resonate, recognized as one of the finest albums of his whole career and one with the project Black Country Communion called BCCIV, the fourth studio album of the Super-Group made by Hughes himself on bass and vocals, guitar guru Joe Bonamassa on guitars and vocals, drummer extraordinaire Jason Bonham and keyboard master Derek Sherinian. 2017 is almost over and it was certainly another very satisfying year for music in general. In the blues and rock scene, in particular, there have been several records shining and impressing both fans and worldwide press, thanks to a perfect blend of originality, great production, outstanding quality of musical and vocal arrangements, the lot. One of the artists that has left a strong mark in 2017 is, undoubtedly, Danish blues and rock King Midas Thorbjorn Risager and his collective The Black Tornado. Their current album, called Change My Game and released early this year, is the ultimate statement of an artist and a band at the top of their game. An album packed with great songs, first class arrangements and some of Risager's best vocal performances ever recorded by the Danish artist in his career, Change My Game reflects as well, through its sound and the vibes emerging from the record, the atmospheres and the colors typical of the Scandinavian Region, adding a cinematic effect to the musical dynamic of the whole album, a bit like watching a Nordic Noir movie. 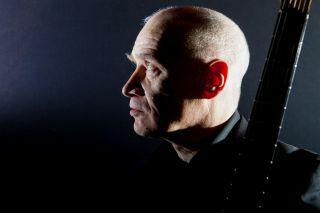 It's rather difficult to find the right way to describe in one word the artistry of somebody like the 70 years-old rock pioneer Wilko Johnson, whose personal life and music career are of such stature that even the expressions "legendary" or "miraculous" struggle to express in its entirety. Every respectable music fan knows of Johnson as being the former member, with Lee Brilleaux, of the mid-70's seminal rock band Dr. Feelgood or about the artist from Canvey Island joining Ian Dury's band, The Blockheads, later in 1980. In a career-span of almost 50 years made of many highs and very rare lows, Johnson has then reached in 2014 the top spot of the worldwide charts with the album Going Back Home, a record he made together with The Who's front-man Roger Daltrey, in a time of his life when Johnson, diagnosed with a terminal cancer, was mentally prepared to the idea of dying. Sometimes you cannot just help fate. 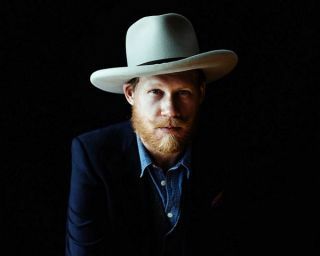 Despite starting playing guitar at the age of 18, something that few would consider a relatively late stage in a musician's career, Texan folk/country singer/songwriter Jarrod Dickenson found himself in the space of few years and thanks to his many musical talents, to open up tours for artists of incredible stature like The Waterboys, Don McLean or Bonnie Raitt, just to mention few of them. His 2012 album The Lonesome Traveler was a real triumph in many ways. Highly appreciated by both music critics and fellow artists too, The Lonesome Traveler gave Dickenson massive exposure, allowing him also to take part to some of the greatest music festival worldwide and, consequently, to be known by a wider audience through the years. "The kids have gone to bed, so we can have a nice, quiet chat". 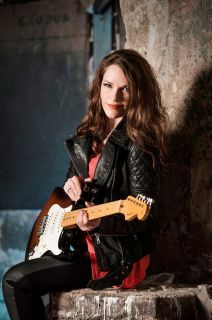 It has not been very long since Bluebird Reviews last talked to an old time friend of our website, the very talented singer/songwriter and slide guitar goddess Erja Lyytinen. Even through a video call, it immediately transpires that the Finnish artist is in great form, through her contagious positivity and happiness and one of the nicest smiles of the music business. Just few months ago, Lyytinen's brand new album Stolen Hearts has received numerous accolades from fans and media and the album is still going very strong, in terms of record selling. 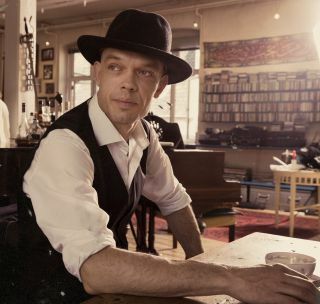 The Finnish artist had not released a new studio album since the 2013's one Forbidden Fruit and the sole release, in-between Stolen Hearts and Forbidden Fruit, has been the splendid 2015 live album recorded in England at the historic London venue The 100 Club.